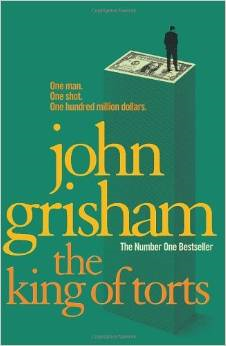 John Grisham’s The King of Torts is, as one might expect, a legal suspense novel which was published in 2003 and which remained in the top 15 of the New York Times Best Sellers list for more than 20 weeks having been in first place initially. The novel centres around a lawyer, Clay Carter and what can be, the sordid world of the class action. Mr Carter doesn’t earn much working for the Office of the Public Defender, though he has high aspirations. Reluctantly, he takes on the case of Tequila Watson, a man accused of a random street killing. A random murder in Washington, D.C. sees the case of Tequila Watson pass before Mr Carter who reluctantly takes it on. He does not know why he killed Pumpkin, his friend. However, the case is set to change Mr Carter’s life and fortunes. A shady individual, oddly named Max Pace, alerts Clay to a conspiracy that has been perpetuated by a pharmaceutical company. They have been conducting medical trials on recovering drug addicts. However, worryingly they have not obtained their consent first. Tequila was one of the unlucky ones to be part of a trial and doubly unlucky in that Tarvan, the drug, does not work in 10% of cases. Though it does not work in those few cases it has an unpleasant side effect in that it leads patients to commit random murders. Max Pace is used by the drug company to make contact with Clay in an effort to keep a lid on their unsavoury practices and to keep victims quiet by paying them off with muchos dineros. Though Clay is concerned with the process he soon turns into a convert when he sees the vast sums of money to be made. Clay’s fortunes don’t come from winning cases but from forcing the pharmaceutical companies to settle out of court at the earliest point. He departs from the Public Defenders Office taking some colleagues and setting up his own firm. Clay begins his slide into a murky world as Max Pace gives him insider information on other dangerous drugs that he may be able to profit from. Clay rapidly reaches the dizzy heights among other established tort lawyers in the city. Clay’s meteoric rise, however, comes to the notice of the authorities and he is soon under investigation for such things as insider trading to name but one. Clay’s luck rapidly changes as he is badly beaten up and hospitalised and as one of his biggest cases loses and his unhappy clients turn on him and begin to sue. Despondent, he eventually flees to England with his girlfriend, Rebecca. Though I did enjoy the rollercoaster ride of The King of Torts novel by John Grisham it did in parts seem to lose momentum. The plot is good, the characters strong and the novel flows, but it is just not totally convincing. However, that said, it is still a great read while soaking up some rays on a tropical beach.